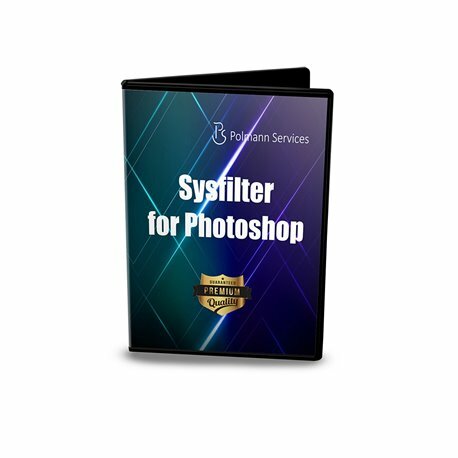 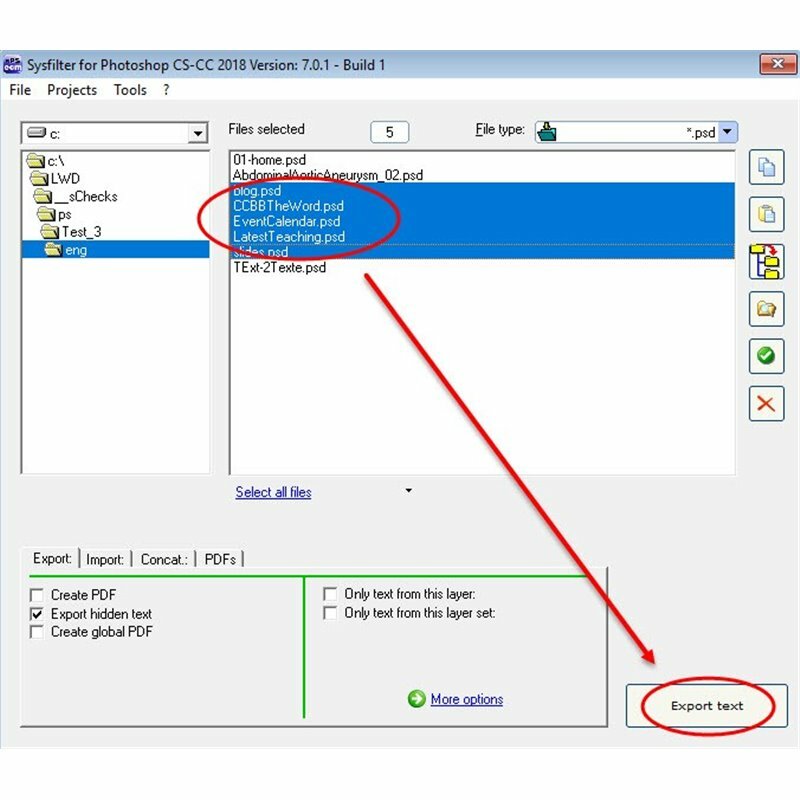 Sysfilter for Photoshop® provides you with the ability to transfer text from your Photoshop files to a text processing program of your choice or to XML. 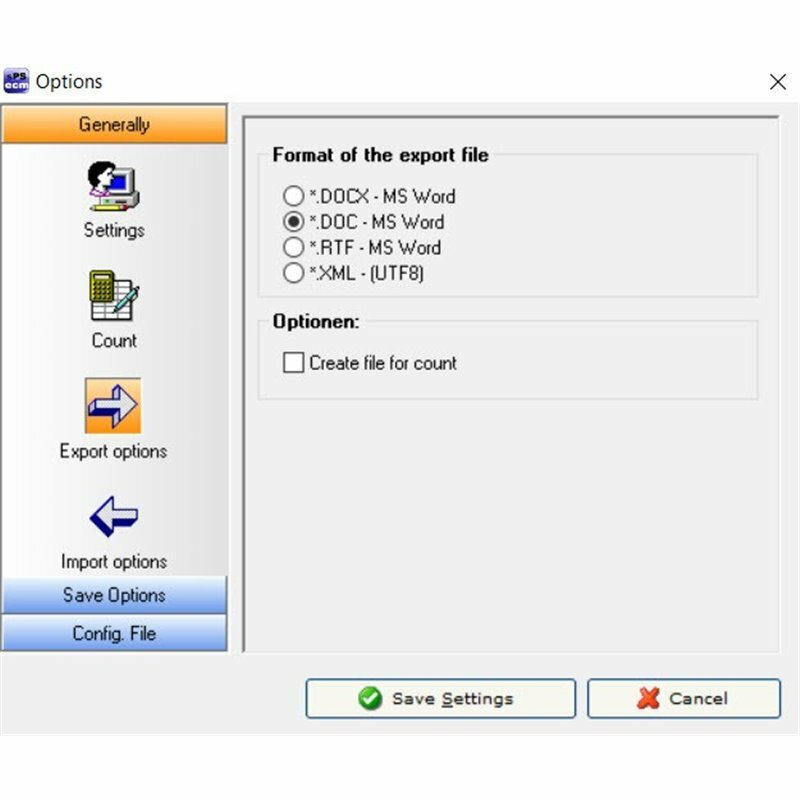 After translation, the text can be imported automatically into the original document . 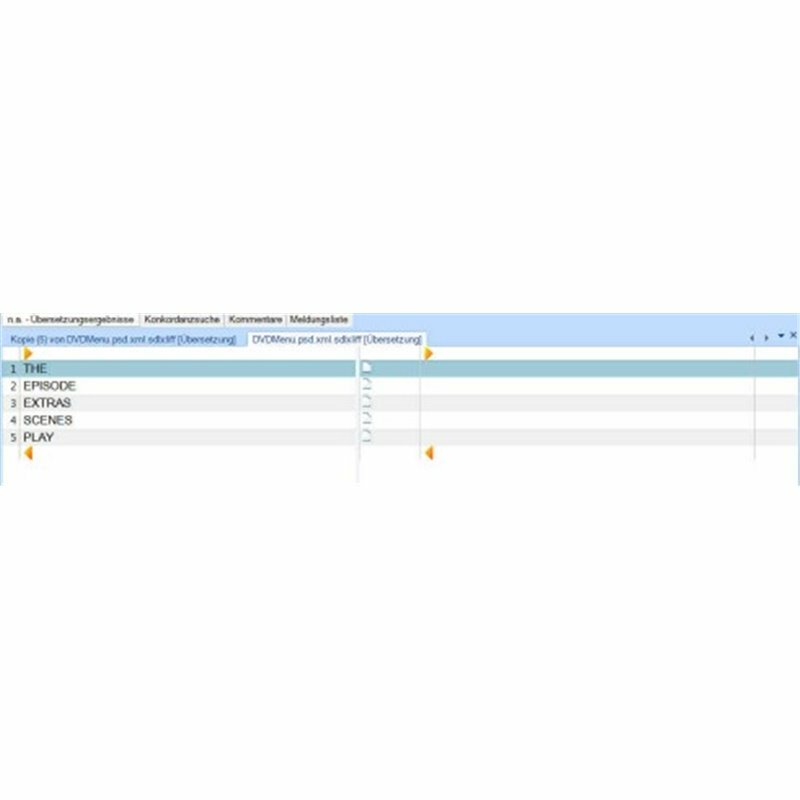 Many features assist your translation activities and quality assurance tasks. 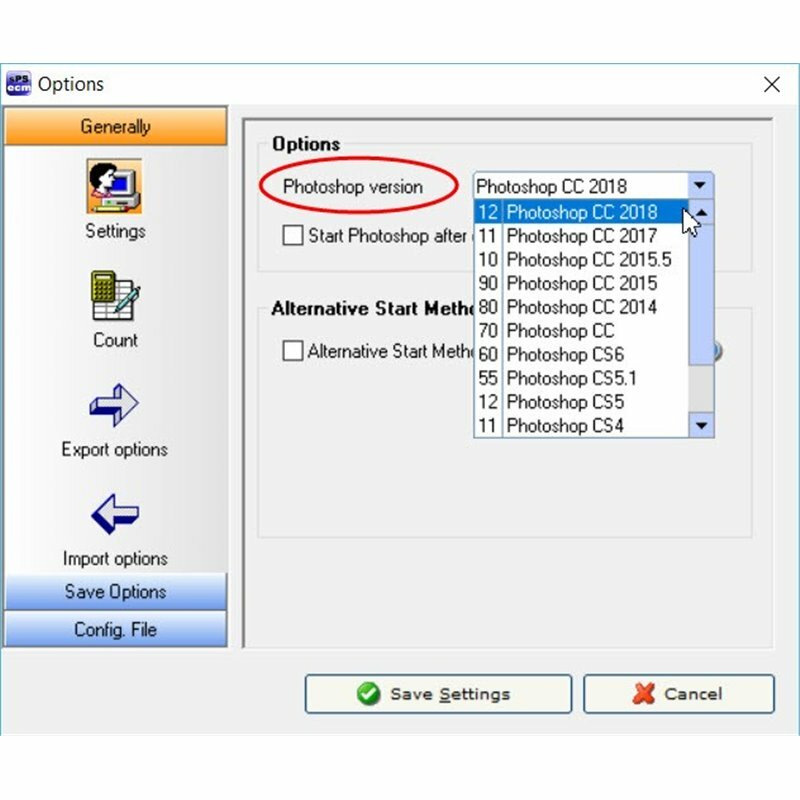 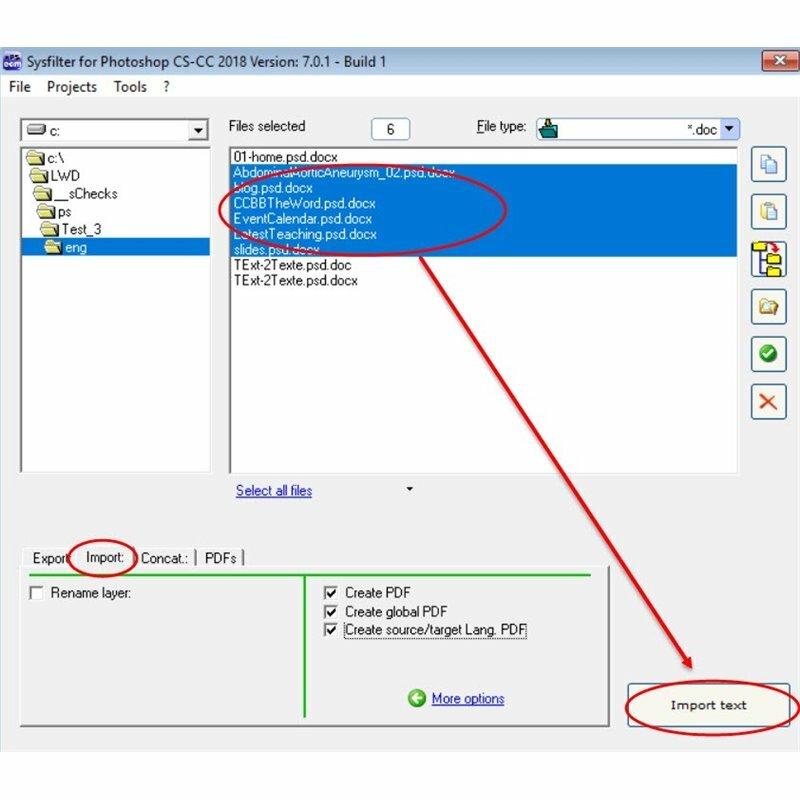 • Merging of individual Photoshop documents to form one single PDF file. 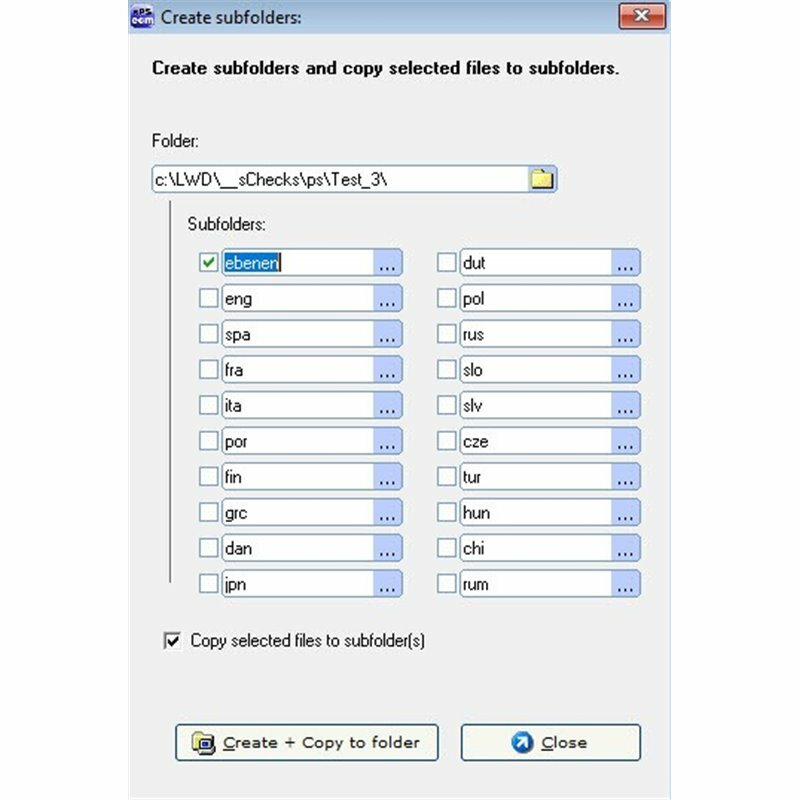 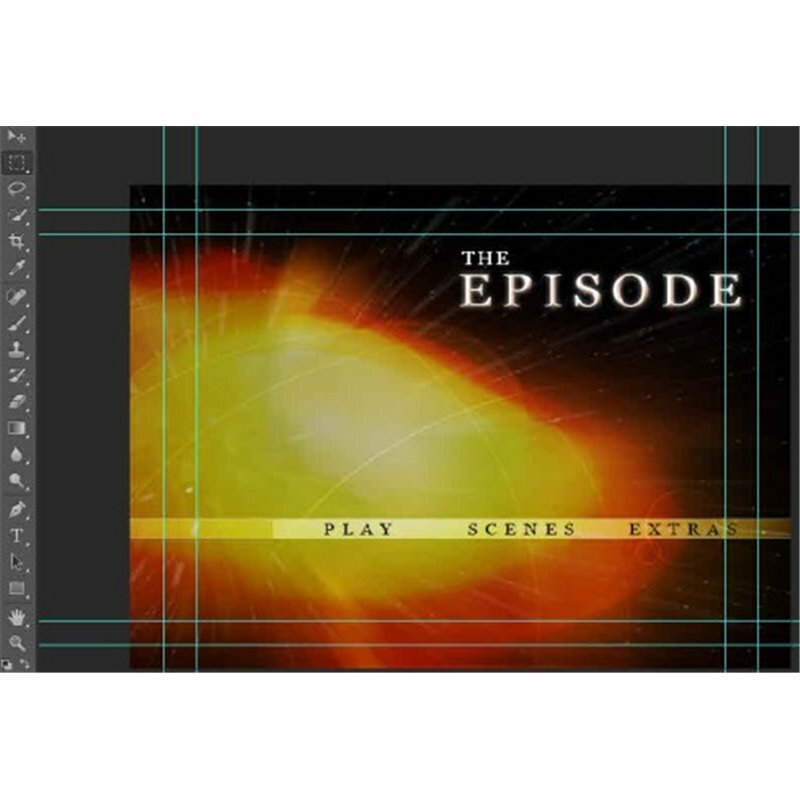 • Merging of translated Photoshop documents with the original to form one single PDF.